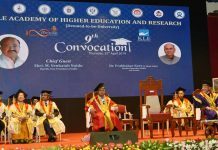 Jalandhar: Be it kings, queens, prince-princesses or other high positioned persons with illustrious achievements; higher education always plays pivotal role in their day to day delineations. Even Godly incarnations like Rama, Krishna, Arjuna and many other joined “Gurukuls” in forests, shunning all pleasures of the palatial palaces. Now-a-days, higher education from a marked educational institution is considered as great choice of life. Understanding on similar lines that joining university for studies is as invaluable now as it ever has been; ace international shooter, Arjuna Awardee & Olympian, Gurpreet Singh has joined Bachelor of Arts Programme at Lovely Professional University. Presently employed with Army Marksman Ship Unit, this Amritsar (Punjab) born young shooter had started practicing and competing for shooting in the year 2007, when he was a mere lad of 19 years. Illustrious achievements started pouring on him in just his teens and he continued with concentration on his career and passion being completely devoid of higher education. Worth mentioning, Gurpreet Singh represented India in Rio Olympics 2016 and secured 7th place in 25m Rapid Fire Pistol event. He has also won gold medals (with games record) in 25m and 10m Rapid Fire Pistol (Pairs) events and Bronze medal in 25m Individual event in 2010 Delhi Commonwealth Games; Silver medal in 25m Centre Fire Pistol Men’s Team event during 2014 Asian Games (Incheon); and, numerous other medals and distinguished positions in various International and national events. 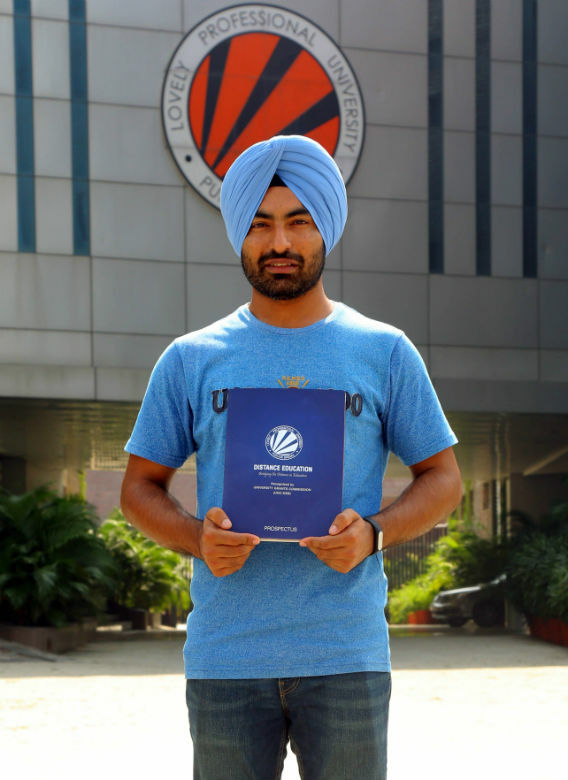 Prior to Gurpreet, another top shooter Amanpreet Singh is already on the rolls of the university by joining its MBA Programme. Both of them visited LPU campus, met LPU Chancellor Mr Ashok Mittal, faculty & staff members and interacted with LPU students. They also expressed their happiness on the encouragement and study related support they are getting from the university. While interacting with these distinguished students, Chancellor Mr Mittal appreciated their preference for LPU programmes and conveyed best wishes to keep on bringing more laurels to the country. LPU students were seen happy on seeing ace international shooters as their counter-parts.